Bernita, a resident of both Houston and the Hill Country of Texas, is a watercolorist with a God-given talent for art that she began to practice in her childhood spent in Independence, Missouri. At the age of 29, she moved to Texas. Having drawn and painted all her life, she began to seriously study the medium of watercolor in 1988, taking private lessons from the Delta Mississippi watercolorist Loretta Garst from the New Orleans Academy of Art. She also studied with many other notable artists. 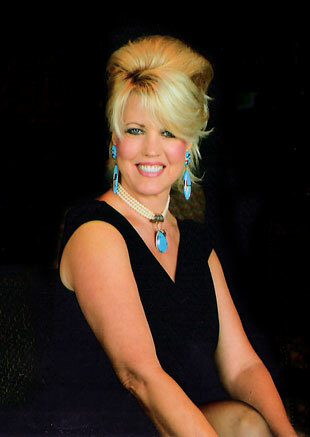 At her Hill Country "Studio Blue", she continually paints and strives to achieve her own level of perfection and style. Bernita has a serious interest in pure color and its application in the medium of watercolor. Painting on a large scale is the most challenging for her. She paints a wide variety of subject matter ranging from bold and bright tropicals to striking west and southwestern art. She strives to be true to the pure colors and loose style of watercolor. When asked, "What inspires you to paint?" Bernita explains, "Some of my works of art come from my imagination like Blue Burrow and Global Warming. Others are still-lifes where I place objects in front of me, such as various fruits, and I paint what I see. Some are painted plein-air where I set-up outside and paint what I am seeing at the moment like Texas Wildflowers and Green Bananas. I also have paintings that are impressionistic in style such as Sunface and Coconuts. Some are referenced from photos like San Francisco Trolley and Pier 19. Overall, my inspiration comes from nature that I seek to enhance with color, texture, and shapes." "You can read stories of how my paintings were created by going to the Gallery & Stories page and clicking on the painting." Bernita's art hangs all over the United States in private and commercial collections. Thank you for viewing artwork. Have a blessed day.